DVD is excellent video format in terms of image and sound quality, many of us surely have a large number of them with our favorite movies to enjoy them over and over again. Only the problem of using DVD is that it requires a device specific for reading what slows us to see our favorite titles at any time or place. 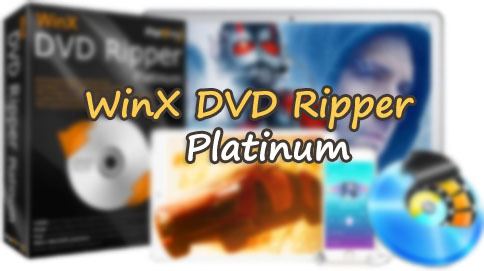 Here is the solution WinX DVD Ripper Platinum ,Its an excellent software tool that converts dvd to mp4 free. We can Transfer it to our Android, iPhone, iPad or iPod Touch keeping all its original HD quality in each of them. Convert DVD to digital formats, including: MP4, MKV, AVI, MOV, WMV, maintaining high quality HD videos. Convert DVDs for playback on mobile devices or share on the internet, Youtube or Facebook. You can this version of WinX DVD Ripper completely free of charge. You can enjoy all the advantages offered by this tool, although it does not support the updates for life. Please note that the draw is only available for a limited time. You can also find the Deluxe version of WinX HD, an all-in-one tool that helps you convert 4K UHD video into Windows (10), download video from YouTube, make photo presentations and edit videos. It will let you work with all the videos in SD, HD and 4K in an optimal and very fast way without losing anything of quality. Here are the working Winx DVD Ripper platinum keys 2017. 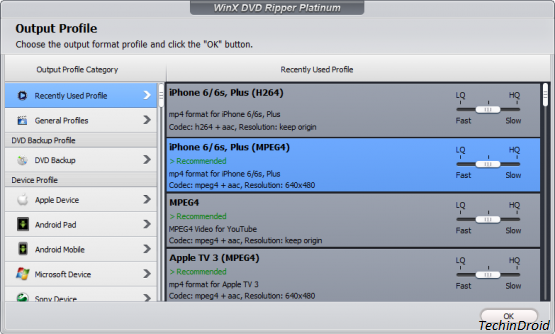 Now with WinX DVD Ripper you can still use all your old DVD on the device you want back to watch your favorite movies on your Android, iPhone, iPad or iPod Touch.